Fans of 80s blood and gore rejoice; the X-Rated version of Robocop is now available to stream on Amazon Prime. Director Paul Verhoeven's original cut of the movie didn't get past the MPAA censors and the filmmaker had to tone down things quite a bit in order to get the movie to an R rating. However, his unrated director's cut has seen the light of day since its original theatrical release, but for those who have never had the chance to check it out for themselves, this represents the perfect opportunity. RoboCop, even in its R-rated form, remains an 80s action masterpiece that none of the sequels, nor the 2014 reboot, have managed to match. But the X-rated version showcases Paul Verhoeven's uncompromised vision. Since many movie lovers have abandoned physical media in favor of streaming services for the purpose of convenience, it's quite likely that many out there haven't even seen this particular version of the movie, since this is the first time that it's ever been made available on a streaming service. It's actually unclear if Amazon intended to release this particular version of RoboCop on Prime Video. If they did, they certainly didn't make a big fuss about it. The movie isn't labeled as the Director's Cut, Unrated Cut, X-rated, NC-17 or anything of the like to identify it as the somewhat rare gem that it is. Despite that, fans of the movie were quick to notice the differences. This version of the movie had previously been released on Criterion LaserDisc and DVD, both of which are out of print. It was also included in a 2005 trilogy box set, the 2007 anniversary edition and the 2014 4K Blu-ray edition. When Paul Verhoeven first submitted RoboCop to the MPAA, they were far from thrilled with the over-the-top violence on display. The process was an agonizing one and the director had to submit the movie ten more times before the organization finally gave it an R-rating. Some key differences include the boardroom meeting when ED-209 begins to shoot Kinney, which is much more gratuitous in the X-rated cut. When Clarence Boddiker is stabbed in the neck, it is far more bloody and we get a more brutal close up of Bob Morton's death. The most significant changes come during Murphy's death. Originally, the brutal sequence showed his hand being cut off, and his arm being completely shot off. This comes at a great time. 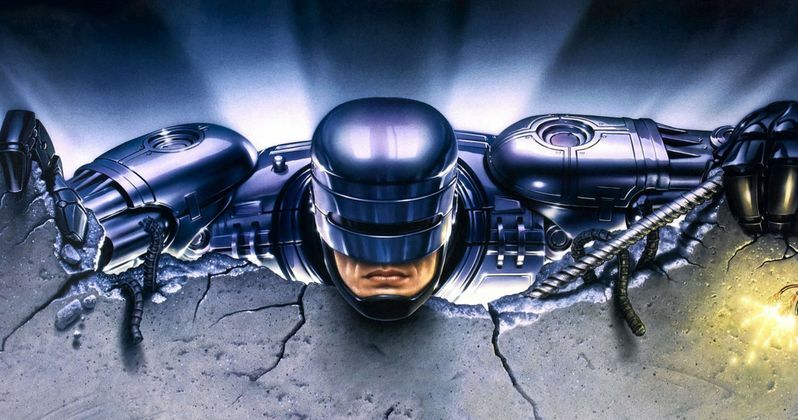 We learned earlier this year that District 9 director Neill Blomkamp is working on a direct sequel to the original RoboCop, which comes from original franchise creators Ed Neumeier and Michael Miner. Blomkamp has already promised that the movie will be bloody, R-rated and loaded with explosions. And with any luck, Peter Weller may even return. While we wait for that to actually arrive, you can head on over to Amazon to stream the X-rated cut of RoboCop, before they decided to take it down.